Found one file extension association related to FolderSizes and 1 file format developed specifically for use with FolderSizes. 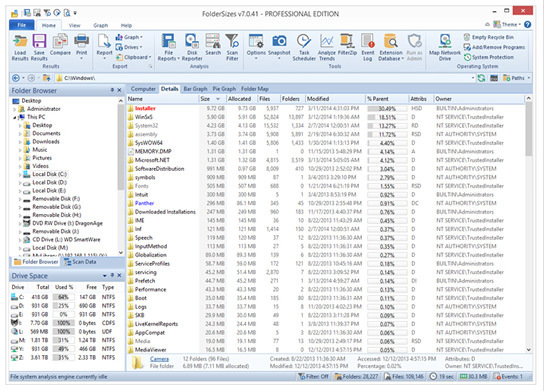 FolderSizes is used to quickly end up accumulating large quantities of unused, temporary, and duplicate files. Start managing disk space usage better today. Desktop PCs, laptops and servers can quickly end up accumulating large quantities of unused, temporary, and duplicate files. Before you know it, you’re out of drive space, backups are taking far too long to run, users can’t find what they need, and you’re struggling to plan for the future. If you need more information please contact the developers of FolderSizes (Key Metric Software), or check out their product website.